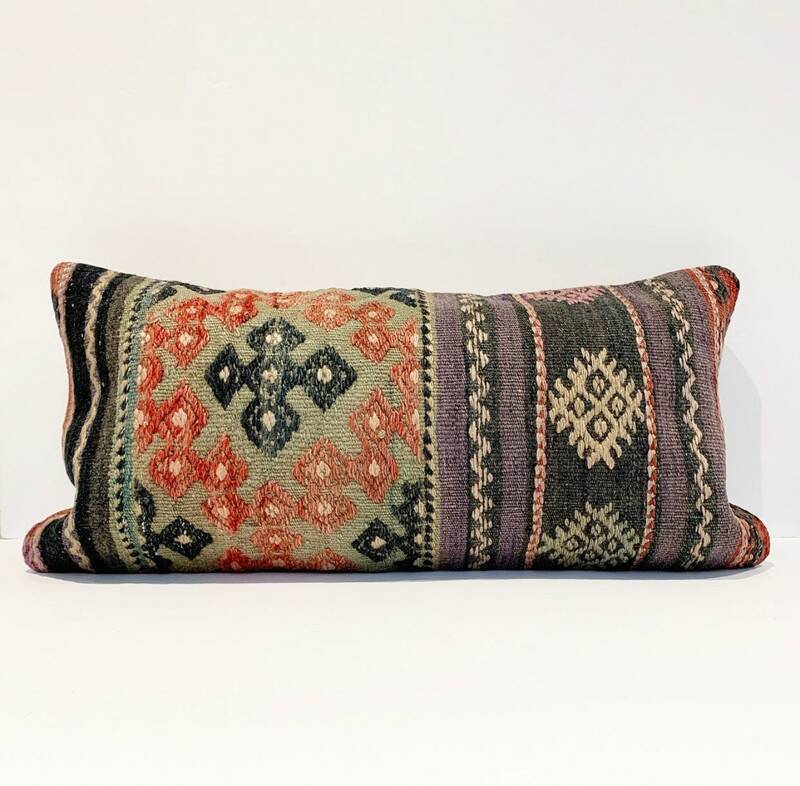 A one of a kind vintage beauty! 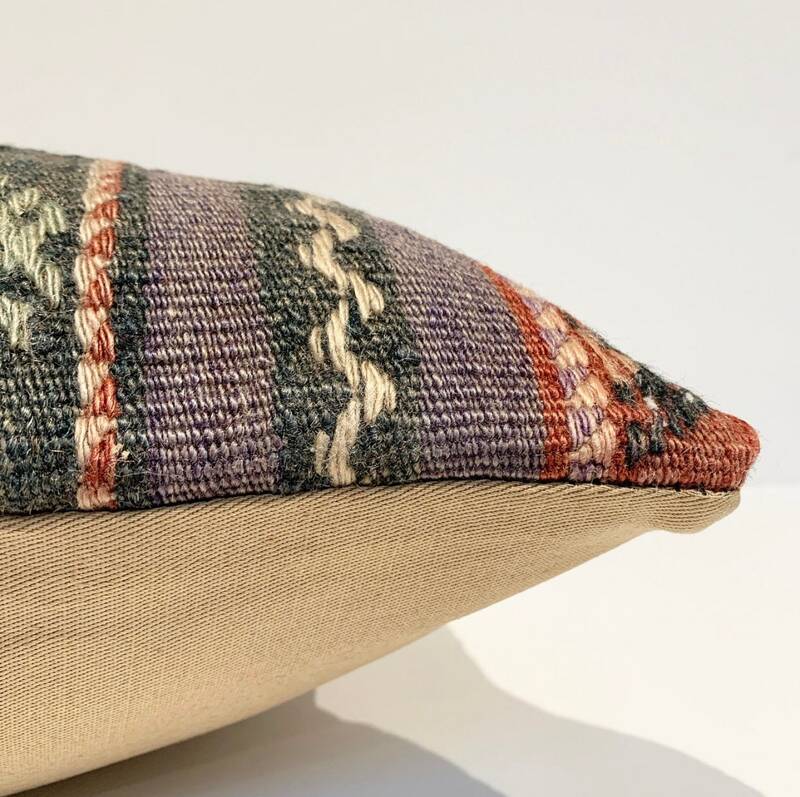 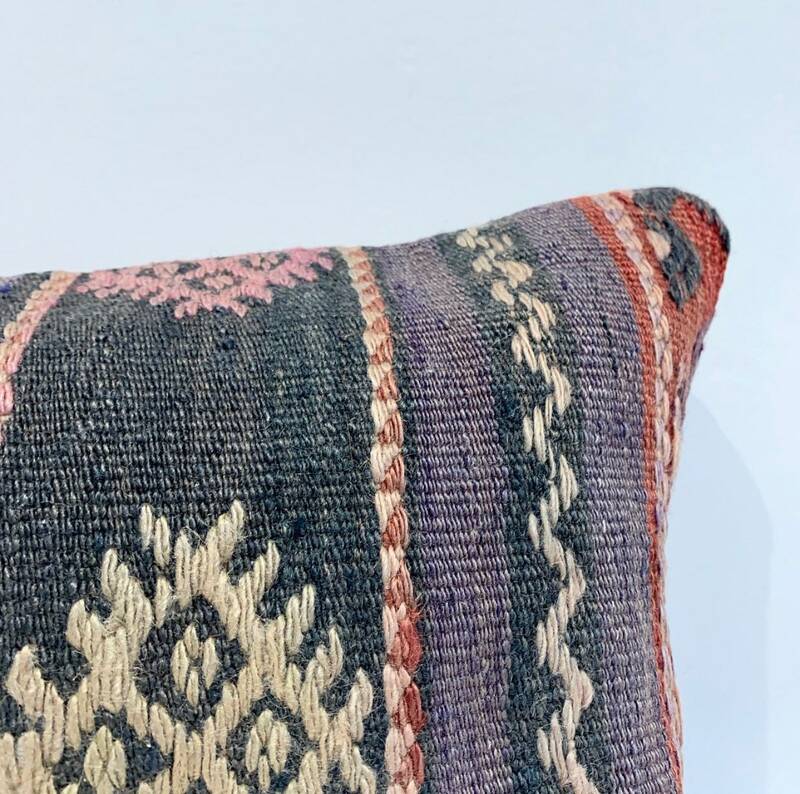 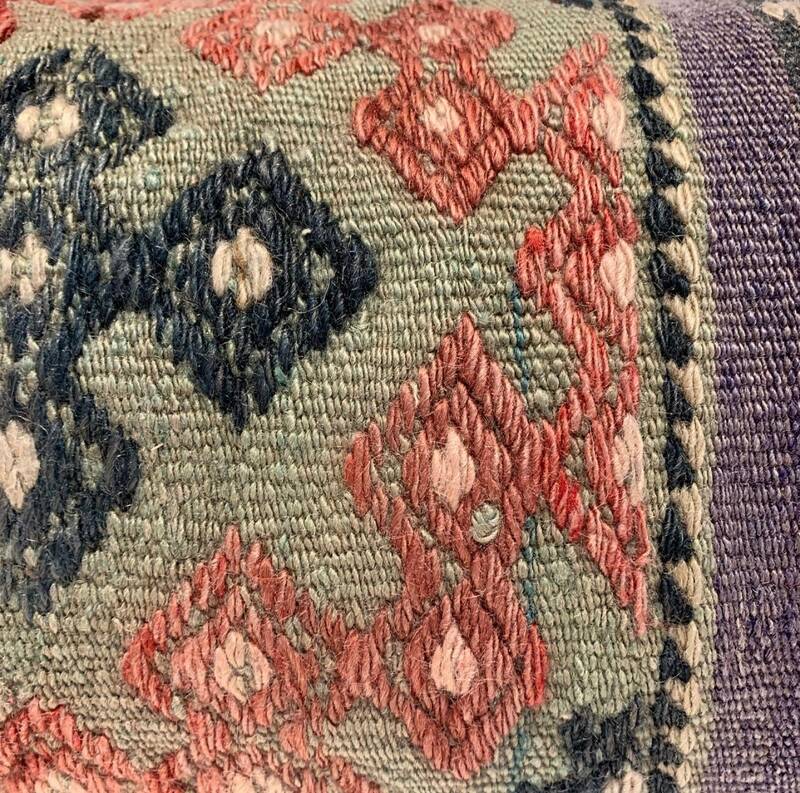 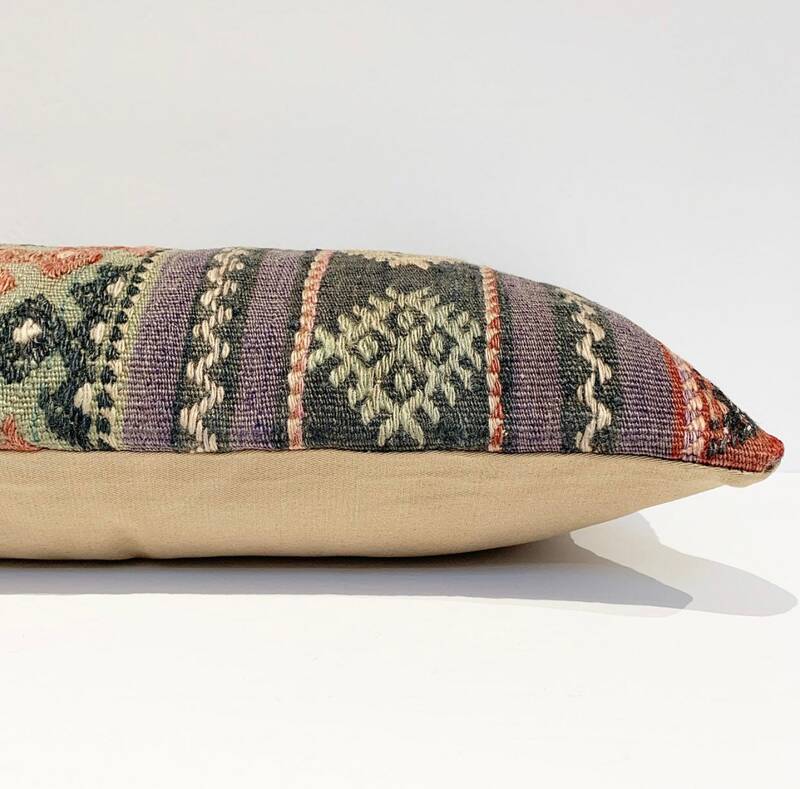 Hand cut from a one of a kind vintage rug, this lumbar pillow has a an equally durable cotton backing and hidden zipper. 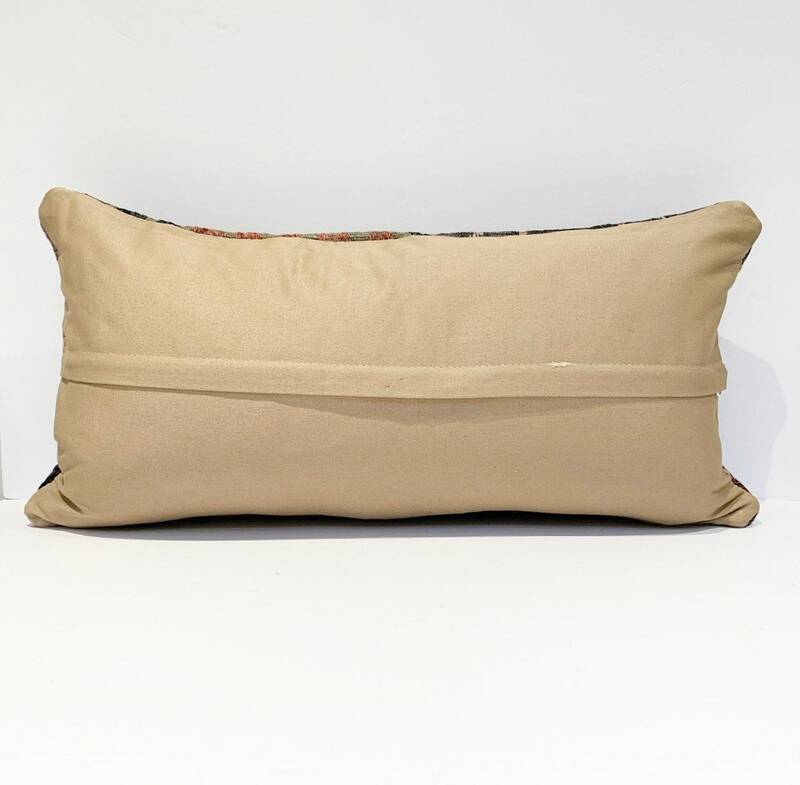 Use on a chair, sofa or bed - looks great grouped with other neutral pillows!